Julie and Laurie played on Rolfe’s 1971 Iowa girls’ state tournament team. Lori and Joanne attended high school elsewhere. Tammy and Wendy played for Rolfe in the ’80s. Carol is from Pocahontas. 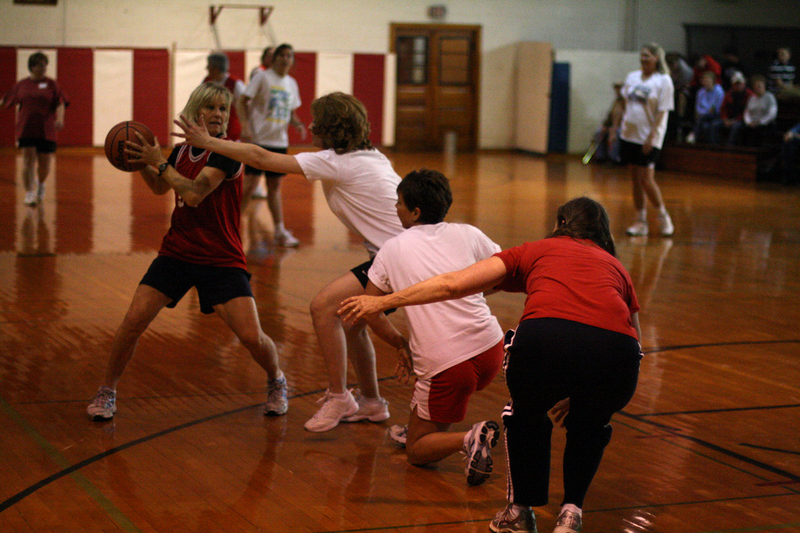 Sue played for Terril, Iowa, including at the Iowa girls’ state tournament. BTW, a couple of people thought it looked like Julie had a tattoo on her arm. Nope. Just a shadow. Click here to go to more information about Rolfe girls’ basketball. This entry was posted on May 25, 2011 at 2:34 pm and is filed under Uncategorized. You can follow any responses to this entry through the RSS 2.0 feed. You can skip to the end and leave a response. Pinging is currently not allowed.